Recently, we had an unsolicited phone call from 818-420-4298 asking if we were interested in being on the front page of Google if we qualified. Of course the offer was for free. The whole call seemed fishy to us. The caller identified his company as a "Google Partner" in his noticeably scripted spiel. At no time did he mention his name or his company's name. With a waft of other voices in the background it sounded like one large telemarketing scheme as opposed to a genuine SEO Marketing company. So what was the full story? We asked the caller to hold on a second as we had some questions. He was a little belligerent asking if we didn't want our company to appear on the front page of Google? We said, hold on a minute, what company do you work for? "Global Tech, but don't you want to be on the front page of Google?" We politely declined this obvious marketing scam and the final piece of argument sealed it for us. The "Global Tech" employee asked why we were not interested, is it because they are not Google? "No," came our reply, "we are not interested." Which was followed up by "we can remove your business from Google in a day you know? Would you like that?" At that point we hung up on the flailing employee who was now resorting to Google threats. 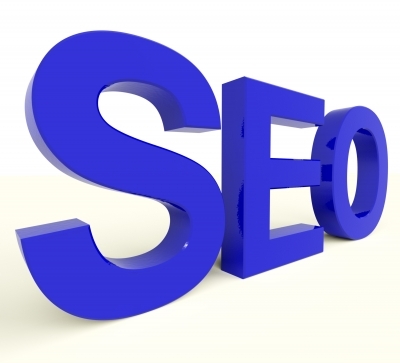 Promoting false Search Engine Optimization (SEO) Services. Calling businesses claiming their computers have been sending virus and adware removal services and they can help...for a fee. So what is a small business owner to do in avoiding being swept up in a scam like this? Google protects it's crawling and indexing algorithms very closely. Beware of any Search Engine Optimization companies who claim they can remove your listing from Google or claiming to be from Google. This is because only a select number of Google Engineers know exactly what the company's proprietary search algorithm is and are highly unlikely to outsource it. As well, the search algorithm is automated to crawl the internet looking for sites and carefully indexing it based on the rules set. Thus, it is highly unlikely that any company, except for Google themselves, would be able to remove a listing from Google completely. During the phone call we experienced the "Global Tech" employee mentioned they were "Google Partners". This term was meant to build credibility on their end without claiming they were calling from "Google". But what are "Google Partners"? These are companies who Google has put through rigorous training and testing on a frequent basis in Google products and web marketing methods. The partners receive training and product update information directly from Google. However, these "Google Partners" do not work directly for or able to influence Google search in any way. Good SEO Companies know the basic strategies to get a website on the first page of Google over time. None can guarantee 100% a website will be on the front page of a certain Google search right away. This is because it takes a while for Google to find your new page, catalog it and figure out where your page ranks. A good SEO company has strategies that include using keywords, content writing, social media and platforms. How do you ensure you have found the right SEO company? Ask for referrals from others you trust, review the online reviews carefully and make sure to Google the company's name to see what comes up. A good SEO company will have positive reviews on websites like YELP! and the Better Business Bureau (BBB). Finally, if an employee of a company is recommended to you directly make sure to look them up LinkedIn to familiarize yourself with their work and possible previous client testimonials and endorsements. How to Increase Your SEO? Fast loading website. The faster your website loads the more Google's search algorithm likes your page. Wordy text. Spread out your keywords throughout your website and blog entries. Using your keywords periodically will help Google searchers find you from a variety of keyword search sequences. Fresh content. Fresh up to date content Google will give your content priority. This is especially so for the latest developments in the world. Inbound links. Google searches out how many different ways your website is linked. The more credible the page (PageRank) that links to yours, the better affect on your website's SEO. Need help with Search Engine Optimization content? Suddcorp Solutions can help write keyword rich content and gain positive inbound links that help your business' SEO.